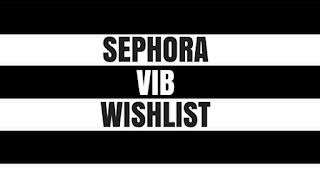 This weekend everything at Sephora is 20% off! This only happens once a year! First make sure you check the sale section because it's also 20% off the sale prices. And just hope your favorite brand doesn't have a better Cyber Monday sale. I put in my order today and my strategy was to get higher priced items I wouldn't normally spulrge on. 1. Bite BeautyGold Crème Lip Gloss $22 - Lip Gloss for a gold-foiled lip look. 2. Smashbox Light It Up Lipstick + Mattifier Set $29 - You get 6 (almost full size) lipsticks plus the Insta-Matte Lipstick Transformer. 3. DERMAdoctor Kakadu C Amethyst Clay Detox Mask $58 – This is my favorite mask, not just because it’s purple, but because this clay mask clears up my skin, helps shrink my pores, and leaves beautiful skin. 4. Farmacy Honey Potion Renewing Antioxidant Hydration Mask $56 – this sticky mask will leave your skin super hydrated! 5. Ole Henriksen POWER Bright 3-step Professional Brightening System $50 – It’s a 3-step system that includes his power peel, sugar glow polishing mask, and a cleanser. It’s like getting a facial at home. 6. Drunk Elephant Lippe $22- I know you’re thinking this is so expensive for a lipgloss, but it’s amazing. It’s made with avocado and marula oils to deeply moisturize and hydrate your lips. 7. Sephora Lavender Foot Mask - $5 It’s a disposable sock mask soaked in rich formula that alleviates fatigue and aching feet with a soothing and refreshing effect thanks to lavender extract and menthol. 8. Drunk Elephant Nightbright $28 Its smaller sized versions of Drunk Elephant products so it’s a great deal to try out the brand. 9. Peter Thomas Roth 10% Glycolic Solutions Moisturizer $45- Meet your new night cream to give you amazing skin turnover and transformed skin. It’s an excellent AHA product that promises results of greater clarity, smoother-looking texture, and a revitalized look and feel. 10. Boscia Baby Soft Foot Peel $20 A natural exfoliating foot peel treatment, formulated with alpha hydroxy acids and fruit extracts, to reveal softer, smoother feet over the course of a week. I’ve gifted this to my mother before and what happens is after using the product, your skin peels like a snake over the next week. I love Ole Henrickson products! That set looks really interesting! Plus Size Fashion - on sale! Do you want to transform your skin?